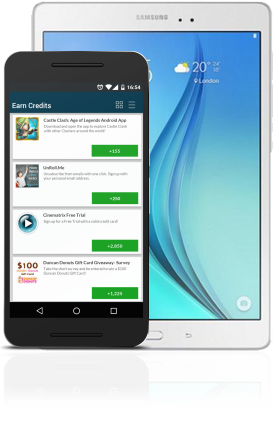 Mobile App Rewards by MyAppStaller. Make money installing mobile apps. Get paid to play cool mobile games. Join the best pay-per-app install network. Refer your friends and earn mobile rewards everytime they install an app or play a game! Get paid money to download and install fun apps and play cool games. We are the inventors and founders of the first revolutionary pay-per-app network supporting over 200 countries and all mobile devices such as Android,iPhone,iPad and Tablets. You can make money simply by installing mobile apps and playing games with every device you have in your home. Join the first pay per app install network in the industry specializing in incentive cpi installs and start making money today! Make money installing mobile apps and games. Get paid through Paypal, Payoneer, and Bitcoin. AmanSutar has earned $0.07 from Anti-theft Inc.
BilalMia has earned $0.07 from Anti-theft Inc.
LVEThomas has earned $1.14 from Watch this funny moment! florencendabambi has earned $0.07 from Anti-theft Inc.